Introduction: Aussie Rules Football also known as the AFL has its roots in rugby but it is very distinctly Australian and is the most popular sport down under after cricket. Although it is played in Australia, the AFL has a global fan following who support the different franchises in the AFL. AFL is a physical contact sport that is governed by the AFL Commission. The AFL has been around for more than a century is made up of 18 official teams. Each team has a total of 22 players, out of which 18 players can take the field at a time. An AFL game consists of four quarters and each quarter runs for around 30 minutes. With the number of breaks during the course of an AFL game, a typical AFL match can run for around two and a half hours. 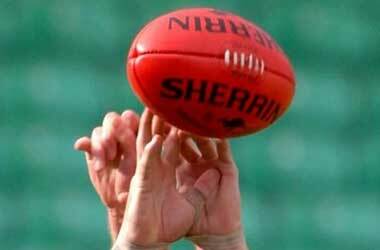 The AFL season starts in March and runs for close to 20 weeks ending sometime in August. The final usually takes place during the last week of September or the first week of October at the Melbourne Cricket Ground (MCG) which can accommodate close to a 100,000 people. The AFL finale has been the most watched sporting event in Australia for a number of a years and the winner is crowned as the AFL Premiership Champions. Canada Betting: Canada has a diverse population and a niche section of them are ardent fans of the AFL. Some of these Canadian fans often wager on AFL games throughout the season and use sports betting websites such as 888 Sports, William Hill, Betfair, Paddy Power and Bet365 to place their bets. These sport betting websites offer online sports betting services and mobile app services which are available for Android and iOS users. These mobile betting apps are very useful for those bettors who like to play bets on the go or make use of in-play betting. Some of the different types of bets offered on AFL matches include line betting, head to head betting, least wins, to win the premiership flag, to make the grand finals and the premiership champions. Aussie Rules Football: The AFL has predominantly been played by men but in 1992 the AFL Women’s National Championships were established. However is it the men’s league that receives the most amount of attention. Some of the top AFL teams include Hawthorn, Geelong, Brisbane, Adelaide and St. Kilda. The Norm Smith medal is awarded to the best player in the grand final. Some of the top players to have won the Norm Smith Medal include Luke Hodge, Cyril Rioli and Jason Johannisen. Make use of in-play betting to hedge your bets. You do not of course have to live in Australia to take an interest in the most popular sport that Australia is famed for, this of course being the game of Aussie Rules Football. If you do have an interest in Aussie Rules Football then our guide below will enlighten you on just which types of wagering opportunities are on offer and also where you can find some excellent free bets and bonuses to allow you to get ahead of the game before you even start to place such a wager! What Betting Rules Should I Look For? What are the Best Aussie Rules Football Bets? What Betting System Should I Use? How to Pick Winners in Aussie Rules Football? What Can I Use to Adjust my Strategy? The governing body of Aussie Rules Football is of course the Australian Football League (AFL) as they are known, and each season they organise a full complement of sporting events and fixtures to determine just which team is going to come out on top. Every team competing in Aussie Rules Football does of course want to make it to the Grand Final and lift the trophy, and as such you can place wagers on each match played throughout the season and also on which teams will make it to the Grand Final and finally walk away the winners. To Win the Flag: Every team wants to win the flag and as such why not secure the best prices on your selected team by placing this kind of wager at any of our featured betting sites, if you get in early the best odds are on offer! To Make Grand Final: You will of course be able to place a wager on just which teams are going to make the Grand Final, obviously with these types of Aussie Football Rules bets the actual payout odds are going to be constantly changing as the results flow in during the season. Top Non Victorian Team: Not all Aussie Rules Football teams are from Victoria and as such should you be a fan of one of the other teams which originate from different parts of the country you will be pleased to learn you can put your money where your heart is by placing a wager on which non Victoria based team is going to be placed highest at the end of the season. Top Victorian Team: Just like you can wager on which non Victoria based team will come out on top, you can conversely put your money down on which Victoria based team is going to make it to the top at the end of the season, and all of our featured betting sites listed throughout our website will let you place this type of wager, as always the earlier you place your wagers the better odds you will secure. Wooden Spoon: In any sport there are of course going to be winners and losers, and should you have a gut feeling that any one team is going to be awarded the Wooden Spoon due to their lack lustre performances then get your money down on this betting option! Paddy Power – You cannot fail to be impressed by just how many betting opportunities will be available to you when you want to place an Aussie Rules Football type of wager at Paddy Powers betting sites, and what you will also be very impressed by is their new customer sign up offer which is given away as a 50C$ free bet. Make sure you visit their website and take full advantage of this generous offer. William Hill – If you sign up to the William Hill betting site today then you are going to be able to claim their CAD25 free bet as their latest new real money customer. 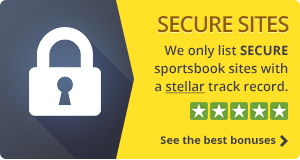 Once you actually log into their betting site for the very first time you may be somewhat overwhelmed by the sheer number of available betting markets on all up and coming Aussie Rules Football matches, which can only be a good thing! 888 Sport – The 888 Sport betting site can always be relied on to give all you Canadian gamblers a huge array of betting opportunities, and should you like placing Aussie Rules type wagers then now is a great time to sign up and get those bets placed, as for a limited time only they are offering all new real money bettors a rather generous CAD88 Free Bets bonus. BetFair – If you thing any Aussie Rules Football team is going to win or is going to lose then you can both place a bet and lay a wager when you sign up to the BetFair Betting Exchange. You are able to offer odds on anything happening in a game and as such this will let you use your skill and judgement to end your betting session hopefully in profit! 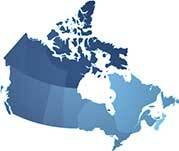 New Canadian customers of BetFair can pick up a special CAD20 Bonus. All of the above betting sites offer you plenty of Aussie Rules Football betting opportunities throughout the season, however the offers listed above can change occasionally, obviously we update our website regularly, but you should always visit any betting sites whose offers take your eye to ensure those free bets and special offers are still available. For standard bet types like the finals and top team bets there aren’t many rules to keep an eye on. However, when betting on a match, you should definitely check whether there’s a “push” rule, which most betting sites now apply. This rule implies that should a match end in a draw, you will get your stake back, unless otherwise stated by the operator. Other rules worth noting is whether the bets will be void and your stakes returned should a match end before 80 minutes of play are realized. Bet returns also apply in the case of postponement with some betting providers who return your stakes after a game is postponed for more than 48 hours. Which bets you choose should depend on how exactly you want to gamble. For example, one of the most lucrative bets is to bet on how many goals a player will score in a single game or who will take the flag, but this is not always the safest bet. The wooden spoon is one of the most advantageous bets to beginners, since you can apply basic statistical strategy to estimate which team to pick. This bet type can also be lucrative, especially if top rated teams start performing badly. When betting on Aussie Rules football, consistency is your friend, especially if you have little idea of the market. A systematic approach to betting is the best solution if you want to make the most out of your money. The most sound approach is to estimate your overall budget and bet 3% on every bet, while your over bets shouldn’t exceed 5%. While there’s no sure rule for picking winners, Canadian bettors have a number of tools at their disposal when choosing their winning team. Defense is key with AFL teams, so when choosing which side to take make sure you pick the team with stronger defense, rather than just the highest scorers. Another factor is the home advantage, which is especially pronounced in AFL games, and the Head-to-Head records, which can come quite handy when comparing different teams. There are several factors that Canadians use to adjust their AFL betting strategy. For example, one of the key factors in the AFL is distance. Opposing teams may often have to travel more than 1,000 miles for a game, which naturally gives a certain advantages to the home team. This is especially true for teams that cover a large distance for the first time. The Brownlow Medal is another factor you can use, as it is regularly awarded to top players in the season. Teams with better players, naturally, often have the upper hand. There are even many online leaks as to who will get the medal, although not all will turn out to be true.